This is a free resource I originally created to help New York City students to prepare for one significant aspect of the SHSAT test for free, without the need for expensive tutoring. Now that the city has (perhaps wisely) eliminated the scrambled paragraphs from the SHSAT, it is a resource for anyone looking to unscramble paragraphs for whatever reason! Daniel Gauss is an Ivy-educated teacher and tutor. Drop him a line at: djg51qu@gmail.com. In the late nineteenth century, a German biochemist found the nucleic acids, long-chain polymers of nucleotides, were made up of sugar, phosphoric acid, and several nitrogen-containing bases. _____ (Q) Scientists still needed to figure out this molecule's structure to be sure, and to understand how it worked. _____ (R) Later it was found that the sugar in nucleic acid can be ribose or deoxyribose, giving two forms: RNA and DNA. _____ (S) Most people at the time thought the gene would be protein, not nucleic acid, but by the late 1940s, DNA was largely accepted as the genetic molecule. _____ (T) In 1943, American Oswald Avery proved that DNA carries genetic information. _____ (U) He even suggested DNA might actually be the gene. We invited 12 women to come to the lab to play bridge with one another. _____ (Q) We did not find such a T cell increase in the blood samples of the control women who did not play bridge, but sat listening to quiet music during the time the others were playing bridge. _____ (R) The before and after data were exciting to us because we found a significant increase in their CD4-positive T lymphocytes. _____ (S) Before they started playing, we took blood samples from them to measure the initial level of their T cells. _____ (T) We were terribly thrilled with these results because, clearly, the cerebral cortex has a role in controlling the immune system, and our present task is to find ways to "educate" the critical dorsolateral cortex and keep our immune systems healthy. _____ (U) Then we took blood from them after they had been playing for an hour and a half. This mission to London marked the beginning of Bolivar’s twenty-year career as a public servant on behalf of freedom and independence. _____ (Q) The constitution for the new republic provided for a federal structure, the legal equality of citizens of all races, and the abolition of clerical and military privileges. _____ (R) Bolívar returned from London in June, 1811, and spoke to the Patriotic Society in favor of independence. _____ (S) On July 5, 1811, the Patriotic Society of Caracas declared independence and founded the first republic of Venezuela. _____ (T) In March, 1812, a small Spanish force arrived from Puerto Rico, and the royalists helped them combat the republican army, which surrendered, forcing Bolívar to escape to New Granada to avoid prison. _____ (U) Yet, in reality, it did little for non-whites: most were excluded from voting by a property qualification, slavery was retained, and the llaneros, the free-ranging horsemen of the plains, were alienated by policies designed to bring the llanos (plains) under private ownership. Heresies (from L. haeresis, sect, school of belief) were a problem for the Church from the beginning. _____ (Q) Efforts to suppress these heresies were initially ad hoc. _____ (R) Beginning in the 12th century, Church Councils required secular rulers to prosecute heretics. _____ (S) But in the Middle Ages a permanent structure came into being to deal with the problem. _____ (T) In 1231, Pope Gregory IX published a decree which called for life imprisonment with salutary penance for the heretic who had confessed and repented and capital punishment for those who persisted. _____ (U) In the early centuries there were the Arians and Manicheans; in the Middle Ages there were the Cathari and Waldenses; and in the Renaissance there were the Hussites, Lutherans, Calvinists, and Rosicrucians. Nobody expects the Spanish Inquisition! The Spanish Inquisition was meant to root out heresy. This is from a very funny TV show from England called: Monty Python's Flying Circus. Yes, I'm the guy who created the scandal in Asia awhile ago. I felt that the Korean performers I was teaching in New York City were not being treated up to acceptable standards, and I reported this to a Korean newspaper to help ensure that, in the future, performers would be treated better. I'm very proud of this scrambled paragraph blog. It seems to have become the most popular resource for scrambled paragraphs on the internet. Thank you for using it and I truly hope it helps you! During the eighteenth century, the market in Europe and America for tea, a new drink in the West, expanded greatly. _____ (Q) To remedy the situation, the foreigners developed a third-party trade, exchanging their merchandise in India and Southeast Asia for raw materials and semi-processed goods, which found a ready market in Guangzhou. _____ (R) But China, still in its preindustrial stage, wanted little that the West had to offer, causing the Westerners, mostly British, to incur an unfavorable balance of trade. _____ (S) By the early nineteenth century, raw cotton and opium from India had become the staple British imports into China, in spite of the fact that opium was prohibited entry by imperial decree. _____ (T) The opium traffic was made possible through the connivance of profit-seeking merchants and a corrupt bureaucracy. _____ (U) Additionally, there was a continuing demand for Chinese silk and porcelain. In 1802 Heinrich Olbers theorized that the asteroid belt was formed by an ancient planet exploding. _____ (Q) The large amount of energy that would have been required to destroy a planet, combined with the belt’s low combined mass tends to destroy that theory. _____ (R) This planet either suffered an internal explosion or a cometary impact many million years ago. _____ (S) Today it is believed that the planets were formed by a process of accretion and the asteroid belt are just pieces that have never joined a planet. _____ (T) It is believed that they were formed by the same process of accretion. _____ (U) The larger asteroids are on the verge of being classified as dwarf planets. Marshall graduated first in his class from the Howard University School of Law in 1933. _____ (Q) Early in his career, as a young lawyer, he fought the State of Maryland for equal pay for black schoolteachers who were receiving the same salary as janitors. _____ (R) He argued many successful cases before the U.S. Supreme Court (wining 29 of 32 cases), including Smith v. Allwright in 1944, Shelly v. Kraemer in 1948, Sweatt v. Painter in 1950, and McLaurin v. Oklahoma State Regents in 1950. _____ (S) Then, at the age of 32, Marshall won his first U.S. Supreme Court Case, Chambers v. Florida, and later that year, he was named chief counsel for the NAACP. _____ (T) By 1936, he established a private practice in Baltimore where he began working with the National Association for the Advancement of Colored People (NAACP). _____ (U) But, it wasn’t until 1954, when he argued Brown v. Board of Education of Topeka, in which the U.S. Supreme Court struck down the “Separate but Equal” doctrine, thus ending legalized segregation of education institutions. Answers are below the exercises. Ian Condry, who teaches Japanese culture at MIT, says "Sukiyaki" transcended language because it hit an emotional nerve. _____ (Q) The song spent three weeks at the top of the Billboard charts in June 1963 and was already a huge hit in Japan before its American debut. _____ (R) "1964 was the Tokyo Olympics, and Japan's economy was expanding globally and so, in some ways, the song is kind of an interesting metaphor for that global expansion of Japan on the world scene." _____ (S) "1963 was when Japan was returning to the world scene after the destruction of WWII," Condry says. _____ (T) But what most listeners in the U.S. probably didn't realize was how it symbolized Japan's return to the world stage. _____ (U) Kyu Sakamoto was the face of this new postwar Japan: a clean-cut, 21-year-old pop idol. In San Jose Chavez met a local priest, Father Donald McDonnell, who introduced him to the writings of St. Francis and Mahatma Gandhi, and the idea that non-violence could be an active force for positive change. _____ (Q) The man who would teach Cesar Chavez how to put theory into practice arrived in San Jose in 1953. _____ (R) CSO helped its members with immigration and tax problems, and taught them how to organize to deal with problems like police violence and discrimination. _____ (S) To Chavez, Ross’ simple rules for organizing were nothing short of revolutionary. _____ (T) Fred Ross was an organizer in San Jose to recruit members for the Community Service Organization. _____ (U) But he still needed to learn how to put these principles into action. Fencing is probably one of the oldest games in existence. _____ (S) Under the Germanic influence the duel spread all over Christendom. _____ (Q) The Germanic tribes which swarmed over the Empire at the fall of Rome were perhaps the earliest people to recognize combat with swords as a means of settling questions of justice or of vindicating a grievance. _____ (R) It sprang directly from the duel, and dueling has been extant as long as there has been war. _____ (T) Even as early as the reign of Charlemagne it was admitted as material proof in the judgments of God. _____ (U) In the old days there were duels between two persons, and often between two whole armies, depending on the conditions of war. Prehistoric people would have gazed upon herds of gazelle and other wild animals; gently flowing rivers, which attracted migrating geese and ducks; fruit and nut trees; and rippling fields of wild barley and wild wheat varieties such as emmer and einkorn. _____ (Q) Indeed, Gobekli Tepe sits at the northern edge of the Fertile Crescent—an arc of mild climate and arable land from the Persian Gulf to present-day Lebanon, Israel, Jordan and Egypt. _____ (R) "This area was like a paradise," says Schmidt, a member of the German Archaeological Institute. _____ (S) Such weather and fertile soil would have attracted hunter-gatherers from Africa and the Levant. _____ (T) This is clearly the earliest "cathedral on a hill" that archeologists have yet to find. _____ (U) And partly because Schmidt has found no evidence that people permanently resided on the summit of Gobekli Tepe itself, he believes this was a place of worship on an unprecedented scale. Please read this article! It's so interesting! Water enters the root and is transported up to the leaves through specialized plant cells known as xylem (pronounces zigh-lem). _____ (Q) Cottonwood trees, for example, will lose 100 gallons of water per hour during hot desert days. _____ (R) Land plants must guard against drying out (desiccation) and so have evolved specialized structures known as stomata to allow gas to enter and leave the leaf. _____ (S) Carbon dioxide cannot pass through the protective waxy layer covering the leaf (cuticle), but it can enter the leaf through these openings (the stoma; plural = stomata; Greek for hole) flanked by two guard cells. _____ (T) Unfortunately for the plant, while these gases are moving between the inside and outside of the leaf, a great deal of water is also lost. _____ (U) Likewise, oxygen produced during photosynthesis can only pass out of the leaf through the opened stomata. At the tender age of 24, Jim Thorpe sailed with the American Olympic team to Stockholm, Sweden for the 1912 Olympic Games. _____ (Q) At the Olympics, he blew away the competition in both the pentathlon and the decathlon and set records that would stand for decades. _____ (R) Thorpe, never a man to stand on ceremony, answered simply and honestly, "Thanks King." _____ (S) King Gustav V, himself, presented Thorpe with his gold medals for his accomplishments. _____ (T) Remarkably, he was so dedicated he even trained aboard the ship on the journey across the sea. _____ (U) As stated by Bob Berontas: "Before Thorpe could walk away, the king grabbed his hand and uttered the sentence that was to follow him for the rest of his life.’Sir,' he declared, 'you are the greatest athlete in the world.'" After a move to New York and a stint with the Kiernan News Agency in 1882, Charles Dow started Dow Jones & Co. with two partners, Edward Jones and Charles Bergstresser. _____ (Q) Dow's publication, therefore, leveled the playing field between the Wall Street elite and the individual investor. _____ (R) Information about a company's balance sheet was, in fact, rarely published, with management attempting to hide and obscure the full value of their company for fear of a takeover. _____ (S) Their first publication was a two-page daily called the Customer's Afternoon Letter started in early 1883, but by 1889 it had evolved into the Wall Street Journal. _____ (T) The Letter not only reported consolidated stock tables, but also made public quarterly and annual information regarding company financials -- something that only insiders had available to them before this. _____ (U) The Customer's Afternoon Letter was nothing short of revolutionary, since in Dow's time, consolidated stock tables published every day did not exist. There aren't any good documentaries on this subject on youtube. Answers are found after the exercises. Coffee plants grow wild in Ethiopia and were probably used by nomadic tribes for thousands of years. _____ (Q) "It actually had a major impact on the rise of business in Europe." Pendergrast says. _____ (R) Within another 150 years, it took Europe by storm. _____ (S) "Then it really took off," relates historian Mark Pendergrast — author of Uncommon Grounds: The History of Coffee and How It Transformed Our World. _____ (T) By the 1500s, he says, the drink had spread to coffeehouses across the Arab world. _____ (U) However, it wasn't until the 1400s that people figured out they could roast its seeds. 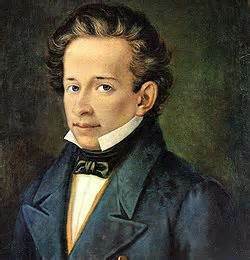 Giacomo Leopardi, one of the greatest Italian poets of all time, was born in Recanati, a town not far from the Adriatic coast. _____ (Q) He mastered Hebrew, Latin, Greek, and modern languages; completed numerous translations from the classics; wrote several philological works, a history of astronomy, and a hymn to Neptune in Greek which he pretended to have discovered in an ancient manuscript. _____ (R) By the time he was nineteen years old he had amassed an amazing store of knowledge, but he had also compromised his health: he began suffering from nervous disorders, his eyesight weakened, he became a hunchback. _____ (S) At the age of twelve Giacomo was so erudite that his private ecclesiastical tutor had to admit that his own scholarship was inferior to his pupil's and that consequently there was nothing more he could teach him. _____ (T) Sadly he realized that he had allowed his youth to pass, that henceforth his life could be only unhappy, and that above all, being so frail and unattractive, a woman would probably never fall in love with him. _____ (U) Devoured by an insatiable craving for learning, Giacomo then resolved to continue his studies alone, and for the next seven years, completely unsupervised, spent most of the day and part of the night poring over the books of the family palace's twelve-thousand volume library. Sukarno was born June 6, 1901 in Surabaja, Java of Javanese and Balinese parents. _____ (Q) He went to a secondary school in which most of the students were Dutch. _____ (R) He thus represented a mixture of the Islamic Javanese and Hindu Balinese Malay subcultures. _____ (S) But, despite the practical degree which could ensure him a comfortable life, he found his true calling was as an orator and politician, since he found he could profoundly move crowds with his oratory. _____ (T) He not only received a good education but became imbued, at this school, with a fierce desire for Indonesian independence. _____ (U) In 1927 he received a degree in civil engineering from the Bandung Technical Institute and became an architect. What I think is interesting is that during World War II, both France and Holland had been occupied by the Nazis. Yet, after the war, both countries hurried to re-occupy 'colonies' they had once 'owned.' France re-entered Vietnam (causing two brutal wars to follow) and the Dutch re-entered Indonesia (causing a bloody four-year war). These countries apparently learned NOTHING from being occupied during World War II. (This one - Sukarno - is tricky because 'school' in (T) could refer to either the secondary school or the institute. Obviously it refers to the secondary school because with the heavily Dutch population of the school he might have felt like an outsider in his own country and then developed a desire for Indonesian independence. Yes, I'm the guy who created the scandal in Asia awhile ago. I felt that the Korean performers I was teaching were not being treated up to acceptable standards, and I reported this to a Korean newspaper to help ensure that, in the future, performers would be treated better. At the end of World War Two, the Viet Minh announced Vietnamese independence. _____ (Q) He was determined, however, to reunite Vietnam. _____ (R) The French refused to relinquish their former colony, however, and in 1946, war broke out. _____ (S) After eight years of war, the French were defeated and forced to agree to peace talks in Geneva. _____ (T) By the early 1960s, North Vietnamese-backed guerrillas, the Vietcong, were attacking the South Vietnamese military. _____ (U) The country was then split into a communist north and non-communist south and Ho Chi Minh became president of North Vietnam. Symptoms of Seasonal Affective Disorder usually begin in October or November and subside in March or April. _____ (Q) Regardless of the time of onset, most patients don’t feel fully “back to normal” until early May. _____ (R) Treatment planning, in fact, needs to match the severity of the condition for the individual. _____ (S) Depressions are usually mild to moderate, but they can be severe. _____ (T) Safety is the first consideration in all assessment of depression, as suicide can be a risk for more severe depressive symptoms. _____ (U) Some patients begin to “slump” as early as August, while others remain well until January. At that time, the early 1960s, long hair on a man was considered absolutely outrageous. _____ (Q) Indeed, it’s no coincidence that they arrived at the time in which the women’s movement was just beginning in the culture. _____ (R) Very quickly the Beatles changed the way men looked, the way men thought about the way they looked and, ultimately, our ideals of masculinity. _____ (S) The Beatles also galvanized women. _____ (T) After the Beatles came to America, that model was washed out forever. _____ (U) Before they arrived, the model for maleness in the culture, for lack of a better term, consisted of people like John Wayne and Gary Cooper. Chinese script was used by the intelligentsia of the country, but being of foreign origin, it could not fully express the words and meaning of Korean thoughts and spoken language. _____ (Q) King Sejong felt great sympathy for the people. _____ (R) What he envisioned was a set of letters that was uniquely Korean and easily learnable, rendering it accessible and usable for the common people. _____ (S) Therefore, common people with legitimate complaints had no way of submitting their grievances to the appropriate authorities, other than through oral communication. _____ (T) Furthermore, they had no way to record for posterity the agricultural wisdom and knowledge they had gained through years of experience. _____ (U) As a revolutionary ruler strongly dedicated to national identity and cultural independence, he immediately searched for solutions. Before there was money, as we know it, there was barter. _____ (Q) Gradually, therefore, people began exchanging items that had no intrinsic value, but which had only agreed-upon or symbolic value. _____ (R) Early in pre-history, some people made a fundamental shift in what they chose to use for proto-money. _____ (S) Forms of proto-money included cacao beans for Aztecs, butter for Norwegians and early U.S. colonists used animal hides (settlers traded deer hides -- the origin of our modern word for money: "bucks"). _____ (T) Some items, such as arrowheads, salt and animal hides, were useful in and of themselves and therefore not perfect as money. _____ (U) People, however, developed forms of proto-money -- the use of commodities that everyone agreed to accept in trade. Maria agreed to work as a private tutor, setting aside money to pay Bronya's tuition at medical school and as soon as Bronya could, she would help subsidize Maria's education. _____ (Q) For the next three years she worked as a well-paid governess. _____ (R) After two years of teaching various subjects to children from wealthy families, Maria realized she was not saving money efficiently enough. _____ (S) Her charges were the children of an agriculturist who ran a beet-sugar factory in a village 150 kilometers north of Warsaw. _____ (T) He encouraged his older daughter to assist Maria, even though he knew the czarist authorities equated such activity with treason. _____ (U) Maria felt a kinship with her employer when he permitted her in her spare time to teach the illiterate children of his peasant laborers.